“The precision and sophistication of the writing and playing blows me away. 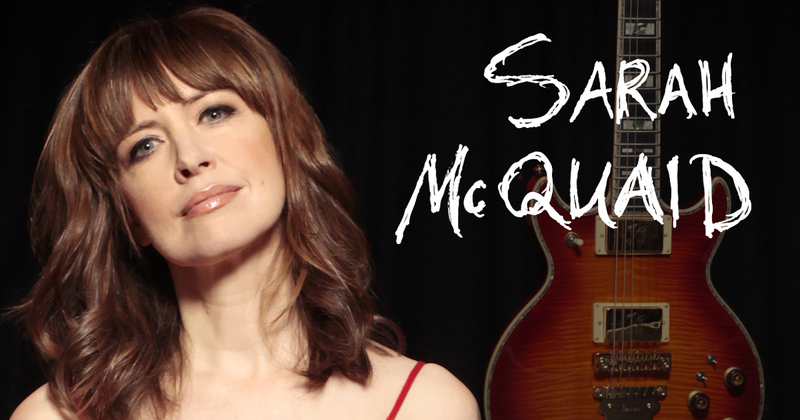 I am so glad to be involved,” writes guitar legend Michael Chapman in his introduction to Sarah McQuaid’s fifth solo album If We Dig Any Deeper It Could Get Dangerous – which he offered to produce after meeting Sarah at a festival where they were both on the bill. Recently honoured with a Lifetime Achievement Award by the Ards International Guitar Festival in Northern Ireland, Sarah’s also drawn critical praise for her voice (which has been variously likened to malt whiskey and melted chocolate) and her engaging rapport with audiences: “I’ve attended hundreds of concerts of all kinds, and her subtle mastery onstage launches her straight into my fave shows ever,” wrote The Huffington Post.